Good things come in small packages. 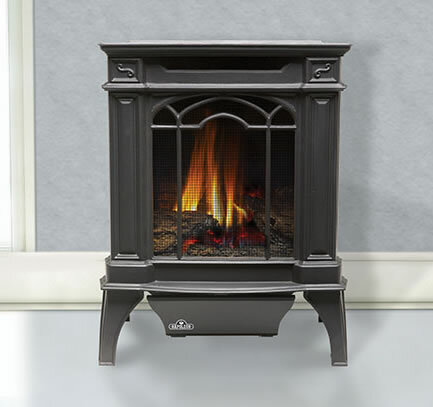 The Napoleon Arlington VF Vent Free Gas Stove, although compact in size, makes a powerful statement in any room. The solid Early American cast iron design with exquisite detail and style, reflects the outstanding quality shown in each stove. The Arlington VF features Napoleon's exclusive PHAZERAMIC burner system.